Blayne Rush is the President of Ambulatory Alliance, LLC and is an investment banker with over 15 years of healthcare experience with considerable expertise in the areas of business transactions, complex negotiations, and financial analysis. 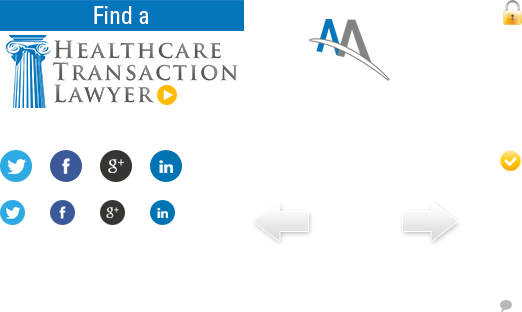 Blayne has worked with over 250 healthcare organizations ranging from physicians to corporate partners and hospital health systems on transactions. Blayne holds a Bachelor of Science Degree and a Masters in Health Promotions from McNeese State University where he was a four-year starter and an All-American on the nationally ranked football team. Blayne also holds a Masters in Business Administration from Amber University and has completed five graduate courses in Mediation and Advanced Negotiations at Southern Methodist University. He holds a graduate executive certificate in the Private Capital Markets from Pepperdine University. He has also completed coursework in Finance, Investments and Real Estate, and is a credentialed mediator, arbitrator, ASC Broker and Real Estate Broker. He is registered with the Securities and Exchange Commission, is a FINA licensed Investments Banker having passed the prestigious Investment Banking Representative Qualification exam Series 79 as well as holds FINRA 63, 24 and 99 licenses. Additionally he serves the state of Texas by being appointed by the Governor to the Texas Physician’s Assistant Board of the Texas Medical Board. Blayne is consistently referred to as an expert market maker, transaction guru and negotiator. If there is a deal to be made he is the go to guy. Blayne has an innate ability to locate and then prove up every sliver of value on his client’s behalf. He has proven skills in being able to create value through agreements that make all parties better off than they were without an agreement and claiming that added value for his clients. Blayne Rush works to ensure that his clients have no blind spots and leave nothing unnoticed. He possesses an investigative mindset and takes the time to see the details that others have turned a blind eye to. Blayne understands that it not only pays to be more prepared, it pays to look more prepared. Blayne is a believer that the more prepared we seem and systematic we are, the more respect is garnered. This virtually ensures that the buyers see all the value of the Ambulatory Center that he is marketing and that his clients capture the maximum value of their transaction. Blayne is a student of negotiations and valuations; constantly studying past transactions, valuation and negotiation processes, deals, and value driver in the eyes of each potential buyer and what makes buyers buy and up their purchase price and increase their terms. He customizes the process, transaction presentation and structure to each potential buyer or investor in order to maximize the value his clients are able to claim. When the transaction is difficult and obstacles arise, when negotiations are unraveling or when it looks as if the deal is dead, most will have no answer. Blayne Rush has proven time and time again that this only strengthens his resolve to formulate and execute successful strategies and creative solutions to complete the transactions while being comfortable living in the eye of the storm.